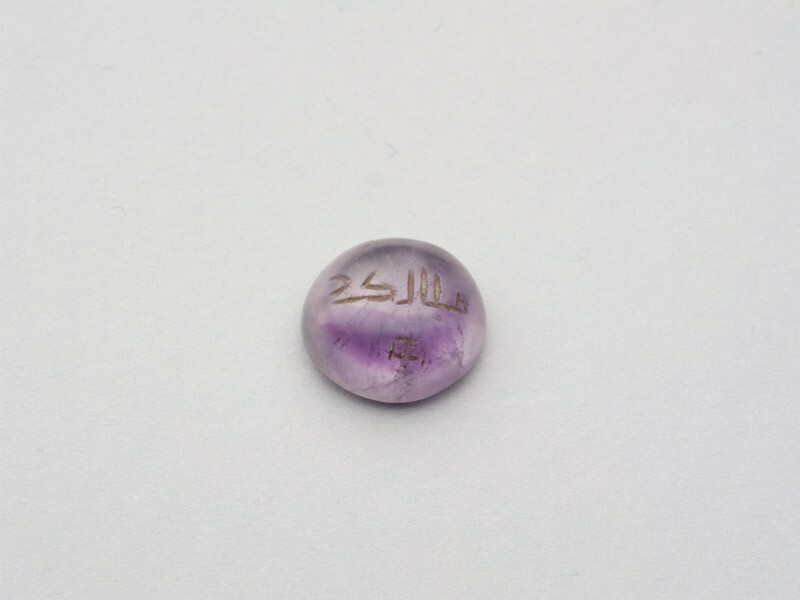 Amethyst; cabochon, plain-convex; oval (almost circular); angle slightly cut. One line of kufic script, slightly rounded, with an error in the first word where the initial rā' is executed topsy-turvy. Beneath, cross similar to the cross 'potencé'. On the basis of the shape of the gem and the text of the inscription, one could with reason classify this seal as of the classical period (I.1), but the script seems to be later.